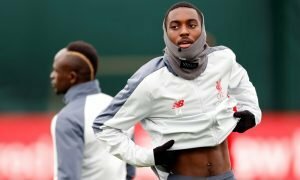 England international rules out Liverpool transfer | The Transfer Tavern | News, breakdown and analysis on all things football! Liverpool fans in the Transfer Tavern have had their dreams shattered today, after comments from one of their favoured targets ruling out a move to Merseyside. Sky Sports quotes Stoke City goalkeeper Jack Butland as dismissing a move to Anfield, stating that he is extremely happy with the Staffordshire side. Butland has been in exceptional form this season since taking the reigns as the club’s number one following Asmir Begovic’s move to Chelsea and links to Liverpool soon followed. Whilst many at the pool table believe Butland moving to Liverpool would increase his chances of toppling Joe Hart as England’s number one, the goalkeeper has ruled out a move- though stating Champions League football is a target of his. 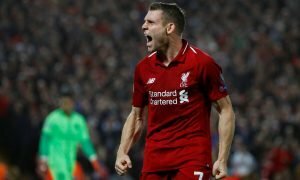 Liverpool fans are frustrated by this news but accept the player has made a mature decision and wish him the best of the future, though they’re not ruling out a swoop for the English stopper somewhere down the line. Liverpool fans, would Butland play ahead of Simon Mignolet? Let us know in the comments below!